The Hula Hoop Toss Game is a fun add on to any event. 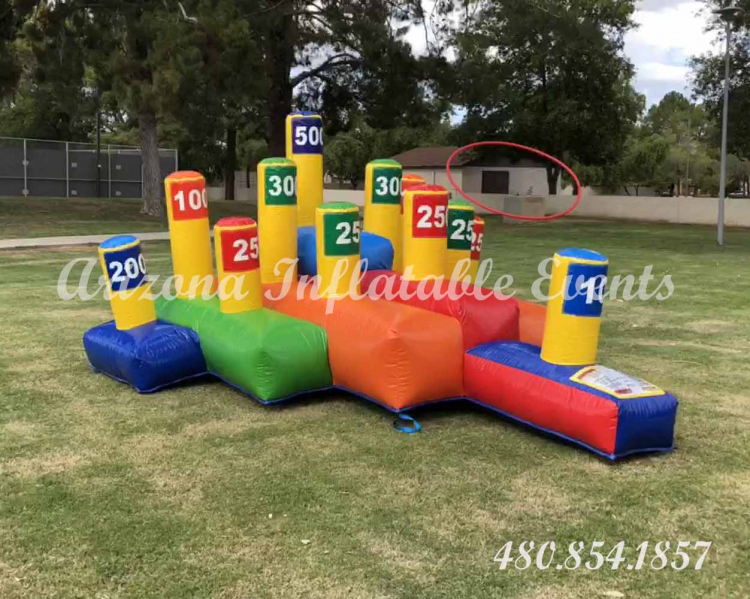 This giant game measures 14 feet long by 12 feet wide by 7 feet high but requires a space 20 feet long by 18 feet wide. This game can be played by all. Simply toss the hula hoops and add up your score, the highest score is the winner. 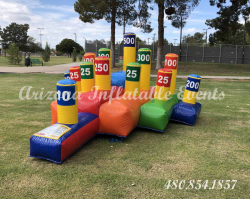 This is a great rental for school carnivals, corporate picnics, and private parties. Call Arizona Inflatable Events today to reserve your Hula Hoop Toss Game.